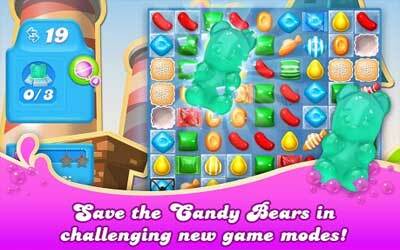 Previous version Candy Crush Soda Saga 1.79.7 apk for Android will help you to downgrade or install older app easily. This is one of the best Casual apps. Explore the world of Soda in our bubbly new episodes! The Bubblegum Troll sings about Kimmy in Tasty Theatre, prepare to be astonished by his epic stage outfit!